Thunderbird supports checkboxes so it supports interactive email right? Well not so fast. The client behaves strangely when it comes to form elements. This article goes over what you need to know about form element support as well as ways to target your CSS just for Thunderbird. 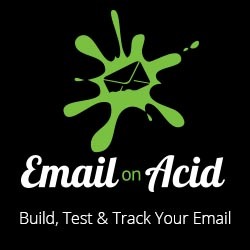 Discover Thunderbird’s strange quirks on the Email on Acid blog. I am an email developer, I have some query for form in email. I do enter some text in textbox, However, it does not allow me to enter text, and if we have more than one text input boxes it does not allow or appear to work with Apple mail & iOS devices. Please help me if any solution for that. I have emailed to litmus, emailmonks & emailonacid for the solution, but they say there is no workaround for it. Any solution?